A marketer spends majority of his/her time in building up the follower base on social media platforms. After building a platform, it is essential to retain the interest of your audience in the brand. Talking only about the brand and products can result in the audience eventually losing interest. 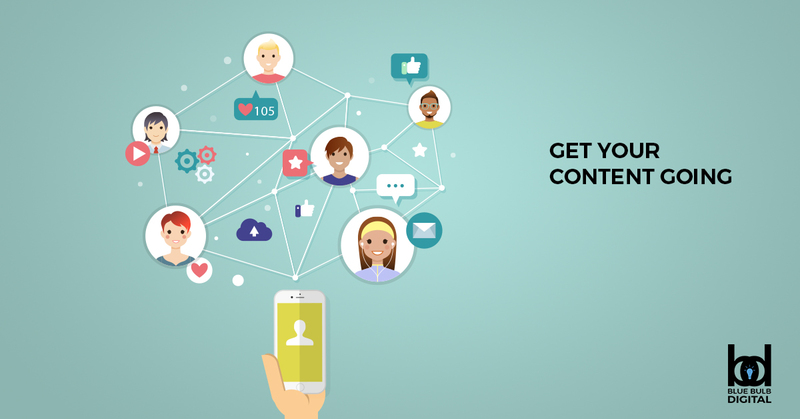 Distribute your content on your social media channels: The most important tip is to share the content on all social media platforms. It is advantageous to post latest news as well, because the audience today look up to social media for their news input. Being ahead of your competitors in posting valuable news promotes your content. Feature a strong headline and image: It is essential to make sure that the content has a catchy headline and the image should be able to attract the readers. These elements should be created to build curiosity among the readers and make them want to read your content. Curated Content:Fresh content has a very good chance of going viral if it is done the right way. If the message is conveyed to the audience, it will be appreciated by the readers and there are major chances they might share the content with their friends or family. Feature guest blog posts:Pay attention to the kind of people your audience want to listen to. Reaching out to intellectuals or people having relevant knowledge to share and having them contribute to your blog will interest your readers. It is beneficial in getting new readers to your blog. Create videos and infographics:Visual content online tends to gather a lot of eyeballs. People who are always on the run find it convenient to run through these video graphics and brush up on their information. We are a team of Digital consultants, IT specialists, Developers, Coders, Designers, and Marketing Strategists with a combined 30 years in the above industries. We aim to provide an array of businesses with our unique approach and experience in Digital and IT solutions.